Espace Gris photo Studio is a 3300 sq minimalistic loft located in the South-West Of Montreal by the beautiful Lachine Canal. The photography studio is operated by a crew of photographers who understand the needs that creatives require in order to maximize their productivity. 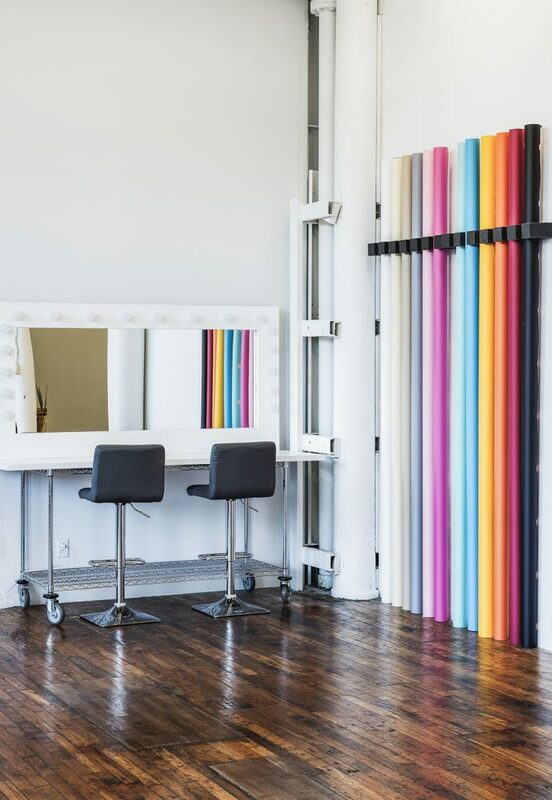 The photography studio is a perfect rental for individuals or team who want to create in a clean, open and inspiring environment. The photo studio is equipped with a 24′ wide 180 degree cyclorama wall and 3 12′ high windows facing north that brings in natural light plus many more amenities. Book a day by simply choosing your date on the calendar. We are excited to host your next creative session. 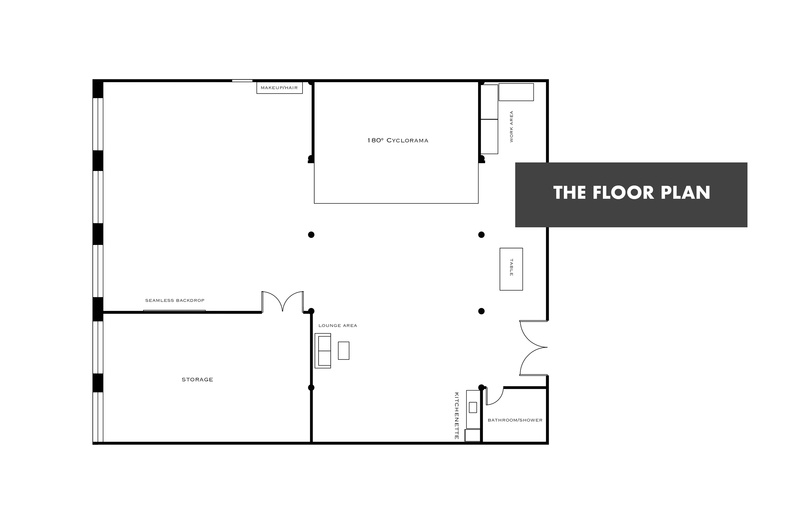 Our studio was designed with you in mind. We have taken our minimalist aesthetic and transformed it into a space that is clean, spacious and functional. The 180 degree cyclorama wall is perfect for shooting e-commerce, portraits or creative photo-shoots. The possibilities are endless in a space that is well lit, bright and inspiring. Book your next creative session with us! We offer a special one hour Influencer rate for those in need of a beautiful space for a short time to create content. *Editorial pricing is reserved for creative projects that have no commercial value. IE: testing out lighting set ups, model casting,test shoot,student projects,personal projects ect. **Commercial pricing reserved for any company or individual being paid or paying to have images/motion content created with a commercial value or intent. IE: Looks books, e-commerce , product photography etc. Need some additional gear to bring your project to life? Spacious and minimalist 3300sq Air Conditioned space. 2 Studios in one with a 24′ CYC Wall. Click for more information and equipment list. We produce moving images for Web, Social media, Motion design and animations. We specialize in commercial photography, Social media Campaigns, E-comm Photography & Product photography. Our team of professionals can set up your backdrops and lighting for you before you arrive on set. Full Service studio with on site strobe and equipment rentals. 1 FREE HOUR on Full Day Commercial Rentals.